Boynton Beach Dentist: Recommends reconstruction with an implant rather than conventional fixed bridge. A young executive with a local quasi-corporate/municipal utility of Southeast Florida, presented to our office at East Boynton Dental, with a broken tooth in the upper posterior segment of their dentition. Upon presenting to our office for a clinical review as well as a radiographic evaluation, it was determined that the patient would be well served by extracting the fractured tooth rather than trying to save the root endodontically (Root Canal Therapy) and then subsequently restore the treated root with a post, core build-up and crown. 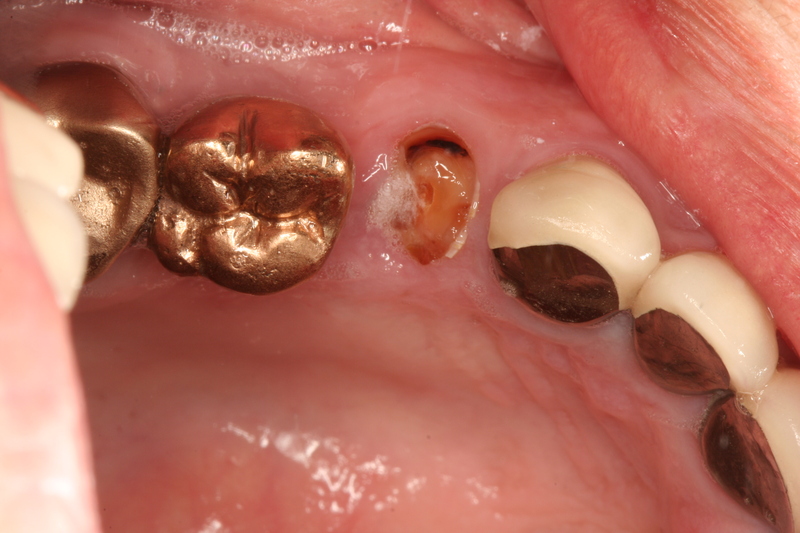 The photo below left represents the intraoral photograph of the fractured tooth. 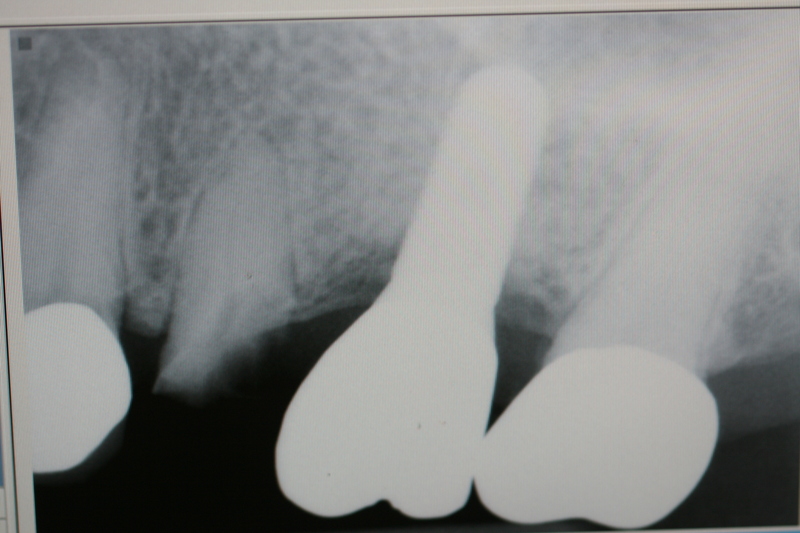 The photo below to the right represents the radiographic presentation of the fractured tooth. After extraction of the root, the extraction site was grafted with bone. 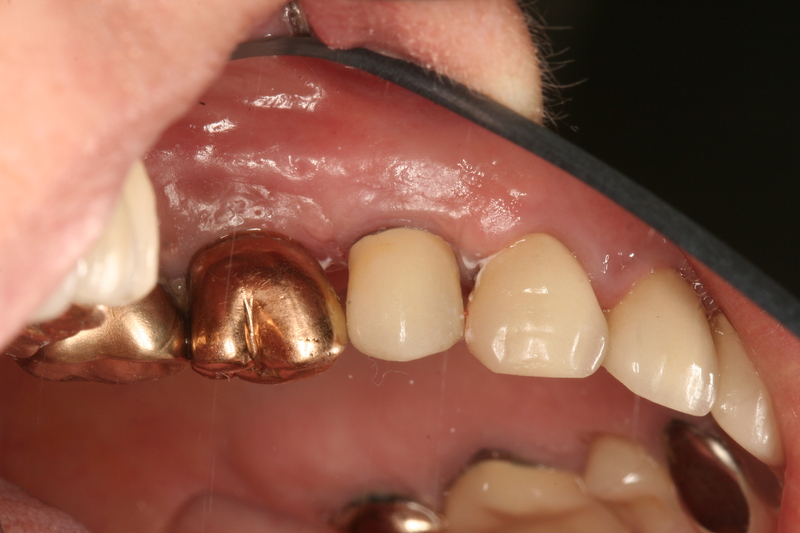 Subsequent to healing an implant fixture was placed and following sufficient time for integration of the implant with the bone, the implanted titanium fixture was prosthetically restored. The photo below on the left is a picture of the implanted fixture with the healing cap off and with healthy soft tissue around it. 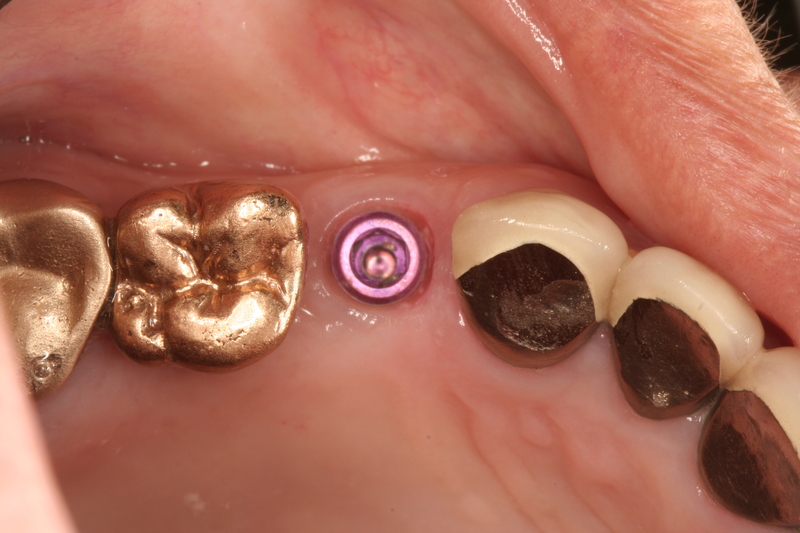 The photo below on the right is a picture of the same implant fixture with the abutment and the Porcelain Fused to Gold Alloy Crown immediately after placement. Boynton Beach Dentist: Celebrating Birthdays at East Boynton Dental →← Do you need dental implants? i am browsing this website dailly and take fastidious data from here daily.